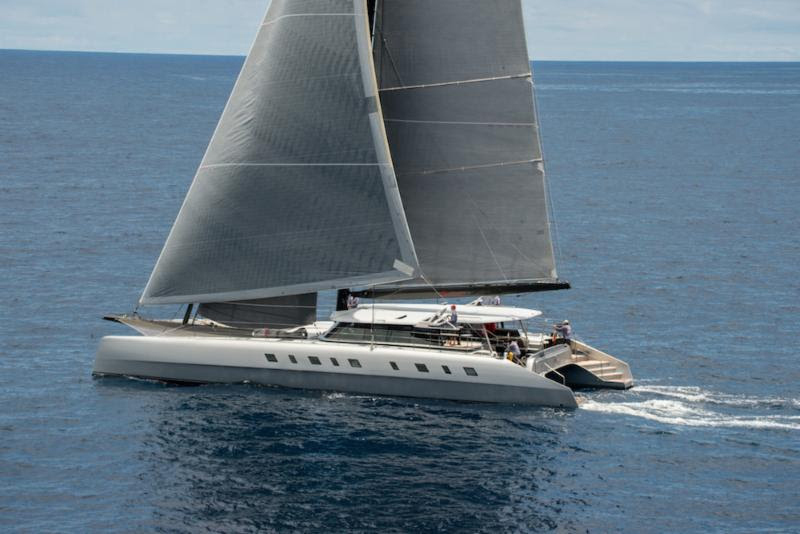 Allegra, the Nigel Irens-designed 78ft catamaran skippered by Adrian Keller was the second boat to finish the 2017 Antigua Bermuda Race on Tuesday at 21 hours 40 mins and 53 secs ADT, taking Multihull Line Honours. News from the fleet still racing is that Les Crane’s Farr PH 56, Monterey had been abandoned after taking on water; the cause is unknown. The crew are all safe and well having been transferred onto the Volvo 60, Esprit De Corps IV. 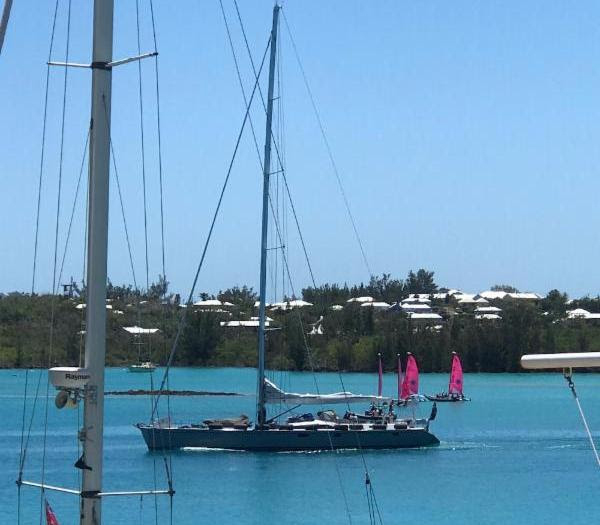 The schooner Spirit of Bermuda is close by and both boats are making their way to the finish in Bermuda. 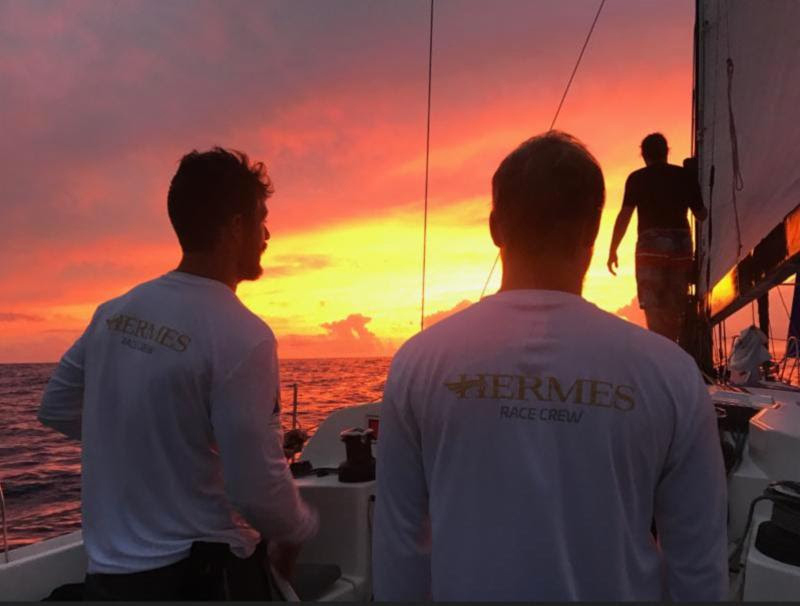 Allegra’s crew for the Antigua Bermuda Race were: Allegra: Helena Darvelid, Charles Dearlove, Chris Dowling, Scott Gray, Rob Grimm, Adrian Keller, Paul Larsen, Andrew Nickless, Recaldo Thomas, Aris Ziros. British Swan 82, Stay Calm is the second monohull to finish the race just before midday, local time on 17th May. Stay Calm passed St. David’s Light, but their corrected finish time was not enough to topple Volvo 70, Warrior from the top of CSA. 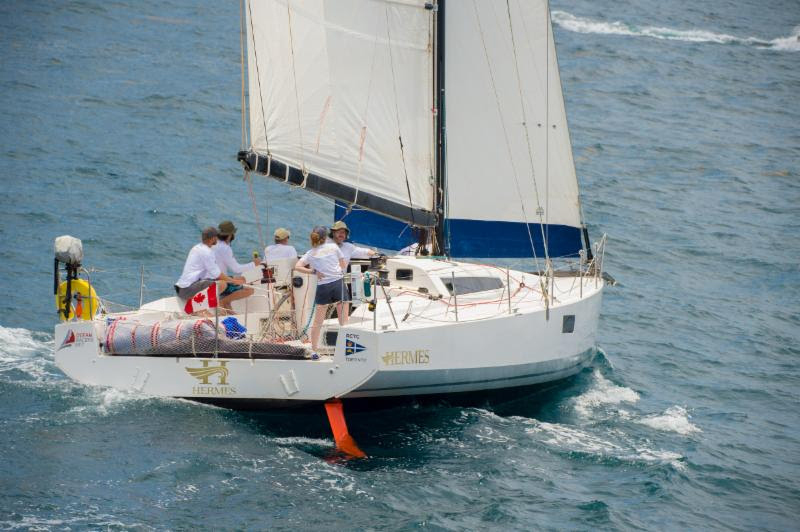 Don Macpherson’s Swan 9,0 Freya is 54 miles from Bermuda and is expected to be the next yacht to finish the race. 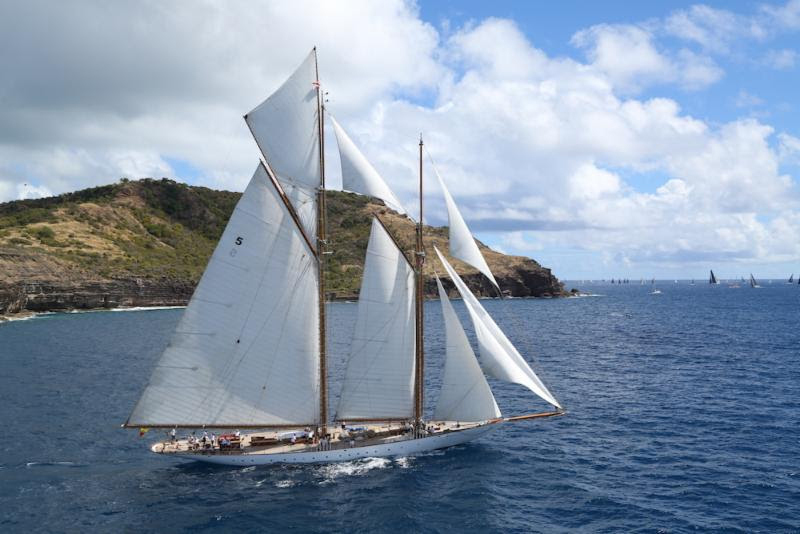 The first classic yacht to arrive in Bermuda is likely to be the magnificent schooner, Eleonora. With 50 miles to go, the 162ft gaff rigged schooner – an exact replica of the 1910 Westward, designed and built by N. G. Herreshoff – is expected to finish the 935 nmile race around sunset tonight. “Things tend to balance out at sea. Our previous hellish night of lightning was complemented by one of the most gorgeous sunsets we’ve ever seen. The sky glowed beautiful reds, oranges and pinks; colours so vibrant that photos don’t do it justice. We shook out our anxiety of storms, wind holes and negative VMG with a sunset dance party to Shakedown Street by the Grateful Dead! Shout out to the Reilly fam who raised me on good music [you'll be happy to know there's also another Tab Benoit fan on board too! ].